Prosecutors say the hip-hop artist has repeatedly violated his parole since being convicted on drug and gun charges in 2008. An online petition calls for Meek Mill's release. 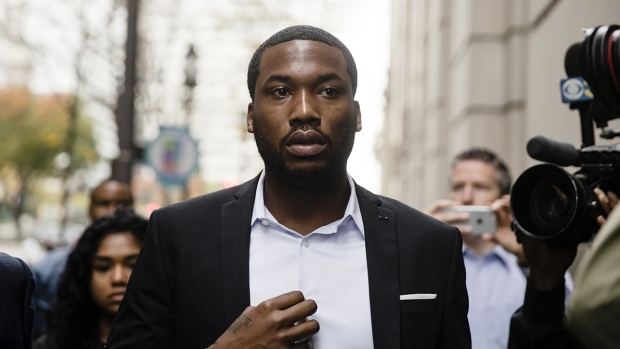 There is now a Change.org petition calling for rapper Meek Mill to be released from jail. Meek Mill is being housed in a SCI Graterford after being sentenced to 2 to 4 years in prison for violating probation. Mill's legal team has vowed to appeal the sentence. An online petition calls for his release from prison. Born and raised in Philly, Meek Mill grew a local following in the hip-hop scene before gaining national recognition. 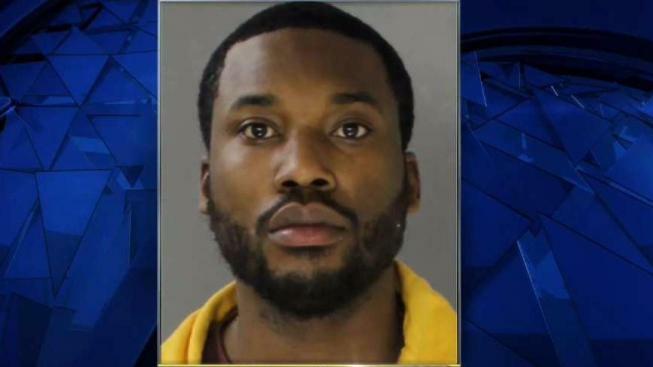 Popular rapper Meek Mill sits behind bars in the Philadelphia suburbs after a judge sentenced him to two to four years for violating probation in a nearly decade-old gun and drug case. And his fans hope they can help him get out. In his mugshot from the state prison in Graterford, Montgomery County, Mill is seen in a yellow jumpsuit, staring straight at the camera. The yellow outfit is worn by newly received inmates at Graterford and is different from the normal department of corrections jumpsuit, DOC spokeswoman Susan McNaughton said. 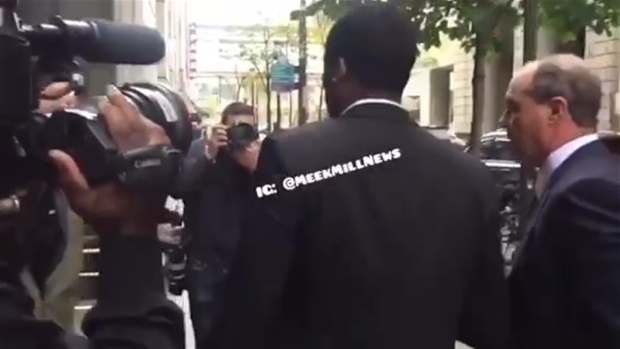 Rapper Meek Mill is seen after being sent to prison for probation violations. The prison garb is a stark contrast from the suit Mill wore when he entered a Philadelphia courtroom Monday for a hearing on probation violations. When sentencing the 30-year-old musician, Common Pleas Judge Genece Brinkley cited a failed drug test and a failure to comply with a court order restricting his travel. Mill, born Robert Rihmeek Williams, was convicted on drug and gun charges in 2008 but released in 2009 under a five-year parole agreement. Since then prosecutors say Mill has violated parole by repeatedly changing his court-approved travel schedule and ducking a drug test. In 2016, Mill was ordered to serve 90 days on house arrest for violating the terms of his parole. 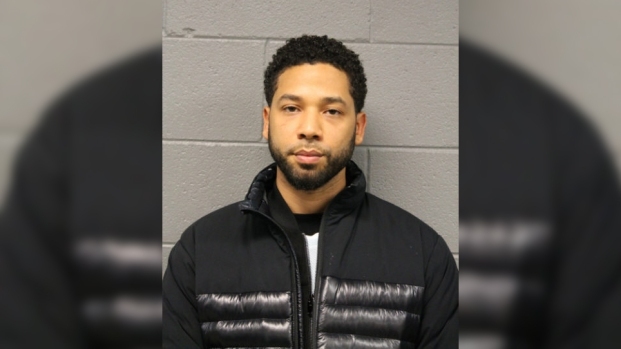 Prosecutors described violations that included unapproved travel to New York for a benefit concert and efforts to join his then-girlfriend, rapper Nicki Minaj, in various cities. They also accused him of turning in cold water instead of urine for a drug test. In March, Mill was accused of being involved in an altercation at an airport in St. Louis, Missouri. He was also arrested this year in New York City for reckless driving. "I've been trying to help you since 2009," Brinkley said, citing a failed drug test, failure to comply with a court order restricting his travel and two other unrelated arrests. "You basically thumbed your nose at me." A Change.org online petition quickly showed up online and by Thursday morning had more than 150,000 signatures. The petition calls for "Somebody," ideally Pennsylvania Gov. Tom Wolf, to reconsider Mill's sentence. Mill was born and raised in Philadelphia, where he became a key figure in the local hip-hop scene before gaining national recognition. He has released three studio albums since 2012; the most recent, "Wins & Losses," peaked at No. 3 on the Billboard 200.